Hear favorites from the worlds of the cinema, the opera, and the theater. The Symphony kicks off a special tribute to Mozart with the overture heard to dramatic effect in Milos Forman's "Amadeus." Relive classic, scary moments from Disney's 1940 "Fantasia." Howard Shore has recently made film history with his Academy-Award-winning score for Peter Jackson's spectacular adaptation of the J.R.R. Tolkien fantasy epic. Bizet's earthy yet tuneful Carmen is considered by many to be the world's most popular opera. Grieg's best-known work is his incidental music for the staging of playwright Henrik Ibsen's dramatic poem on Norwegian folklore. More info: Del Valle Fine Arts or Corigliano String Quartet. Vintage, mechanical, designer, and new dolls; designer and vintage bears; toys; books; supplies; miniatures; doll repairs; beanie babies; and Barbie and fashion dolls; also joining the show will be "The Teddy Bear Jamboree." Sponsor: Steve Souza's Past & Present Doll & Bear Shows. Times: 9 a.m. to 4 p.m.(opens at 9 a.m. for Early Buyer special admission price). Admission: $4 general admission; children under 12 free; $8 parking. $3.50 general admission with ad; $3.00 admission with China Doll Wooden Nickel. Location: Flagpole Plaza - First & Livermore Ave. Your sweetheart. Succulent chocolates. Decadent wine. Sit down and enjoy five chocolate and wine pairings carefully prepared and selected by Wente Vineyards. Learn how chocolate and wine can combine and create a romantic and sensual experience! Limited space available. Admission: $20 Club Wente, $25 Public. Northern California's truly original bridal show. Meet top wedding professionals to plan your perfect wedding. The event features all-inclusive honeymoon giveaways, fabulous door prizes for you and your home, and a professionally-choreographed fashion presentation showcasing the latest trends in bridal gowns. Admission: $10 general admission, $8 parking. Discount: $2 discount available from website. NASA Astronaut Dr. Jeffrey Wisoff, a Lawrence Livermore Laboratory scientist and deputy associate director, will speak on “The Ultimate Transportation-Trips to Outer Space,” at 7 p.m., Thursday, February 16, at the Museum On Main, 603 Main Street, Pleasanton. Admission is $5 for museum members and $10 for non-members. Due to the popularity of this lecture on space travel, please call in your reservations early to (925) 462-2766. Memberships will be available for purchase that night. Dr. Wisoff completed his master's and doctorate degrees at Stanford in 1986 and joined the faculty of the Electrical and Computer Engineering Department at Rice University in Houston, Texas. His research focused on the development of new vacuum ultraviolet and high intensity laser sources. In 1990, he was selected as a NASA astronaut. Dr. Wisoff is a veteran of four space shuttles which included activities aboard both the Russian Space Station Mir and the International Space Station. During these four flights, Dr. Wisoff performed three spacewalks totaling almost 20 hours which included testing tools for the first Hubble Telescope repair mission, construction of the International Space Station, and the test flight of an astronaut jet pack. He managed the operation of two on-orbit laboratories, the Space Radar Laboratory for high resolution mapping of the earth and the SpaceHab module which was the first commercial space laboratory. In October of 2001, Dr. Wisoff joined the Lawrence Livermore National Laboratory (LLNL) where he currently serves as the Deputy Associate Director for Operations in the NIF Directorate. All the latest in home improvement and decor, plus contractors available to discuss options. Times: 12 p.m. to 7 p.m. (Fri.); 10 a.m. to 7 p.m. (Sat); 10am to 6pm (Sun). Admission: $5 adults; free to children 12 and under; $8 parking. 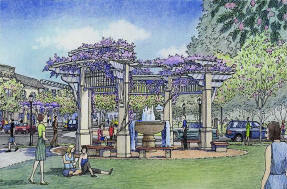 More info: Fairgrounds Web Site, www.capitalshowcase.com or 800-222-9351. Times: Saturdays: 8PM, Sundays 2PM. Expo features exotic Hookbill and Softbill birds. This show has one of Northern California's largest selections of supplies, including wooden and plexiglas toys, Manzanita Play Stands, bird feed, feeders, cages, books, and a large selection of accessories. Sponsor: Jim and Laurene Pappas.